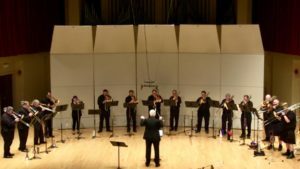 The Atlanta Trombone Ensemble performing at Tennessee Tech University for their TTU Trombone Day with Larry Zalkind, hosted by Dr. Joshua Hauser. 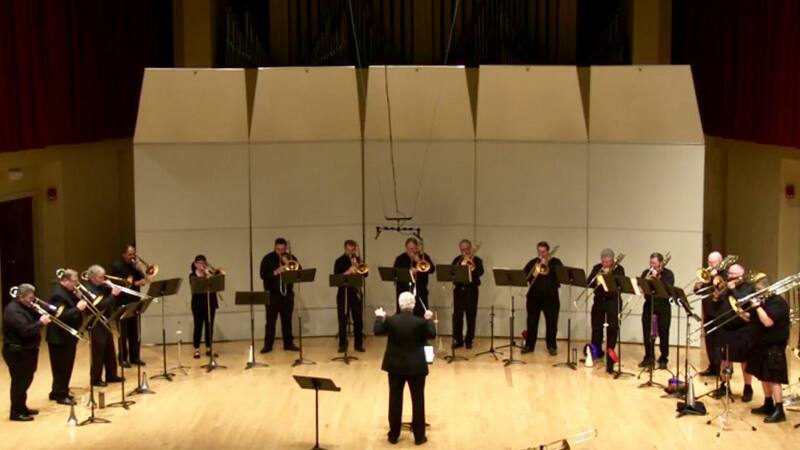 The Atlanta Trombone Ensemble, directed by ITA member Gil Estes, hosted their Trombone Week concert in 2014 at the Shrine of the Immaculate Conception. They will be joined by the trombone choir from Georgia State University, directed by Dr. William Mann, and the trombone choir from Tennessee Tech, directed by Dr. Joshua Hauser. 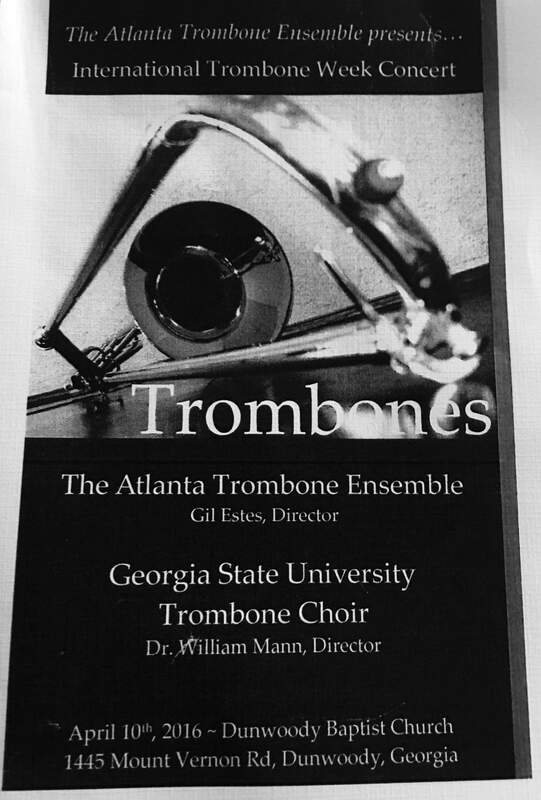 This is the second year the Atlanta Trombone Ensemble has hosted a Trombone Week concert. Last year, the group was joined by the University of Georgia trombone choir, directed by Dr. Josh Bynum. 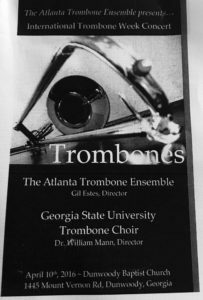 The Atlanta Trombone Ensemble, directed by ITA member Gil Estes, will host their Trombone Week concert on Sunday, April 6th at the Shrine of the Immaculate Conception. This year, they will be joined by the trombone choir from Georgia State University, directed by Dr. William Mann, and the trombone choir from Tennessee Tech, directed by Dr. Joshua Hauser.